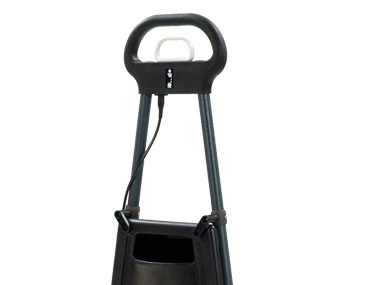 All Purpose Scrubber 32cm with Battery & Pump. 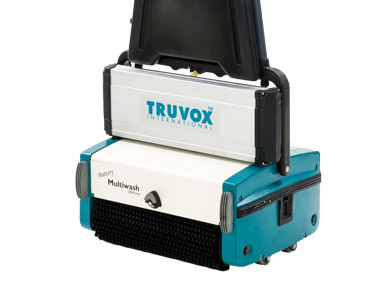 Want to see the Truvox Multiwash MW340PB in action? 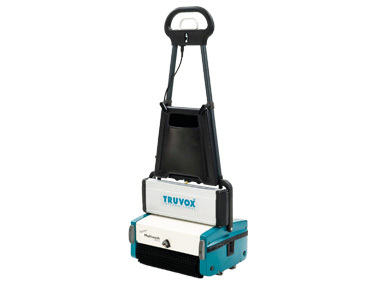 Most cost effective and eco-friendly cleaning machine for small area maintenance scrubbing. Battery operated model eliminates any trip hazard with no power cables. 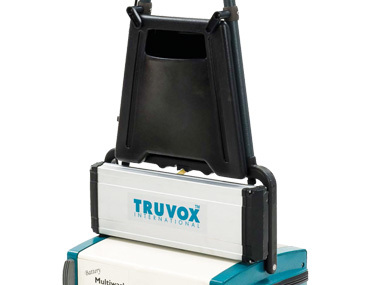 Low moisture all surface cleaning device ideal for maintaining most hard floors and carpets. 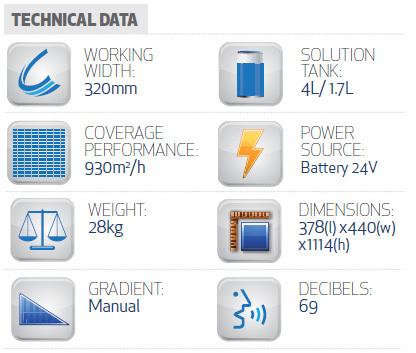 Access to solution tanks making it effortless to fill up clean water & remove waste. 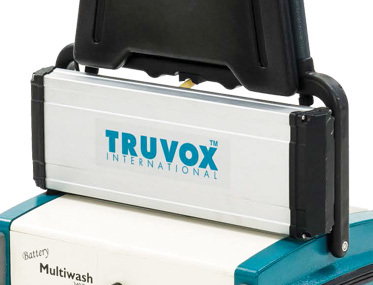 The pump feature provides extra water capacity for larger area cleaning. 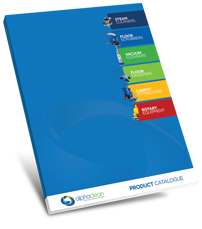 Commonly used in commercial kitchens, restaurants, amenities, lunchrooms foyers, motel rooms, showrooms, medical surgeries, aged care facilities & many more. Optional trolley for easy transportation of unit between buildings.